Arthur Hardy vs Krewe of Zeus!! Politics has reared its ugly head upon the pristine party pastures of the New Orleans Mardi Gras. I’m trying to figure out who is the bad guy in this story, and I’m fairly sure, though not 100% positive, that Arthur Hardy is the bad guy. It’s a confusing set of facts, however, so I’m going to try to sort things out. 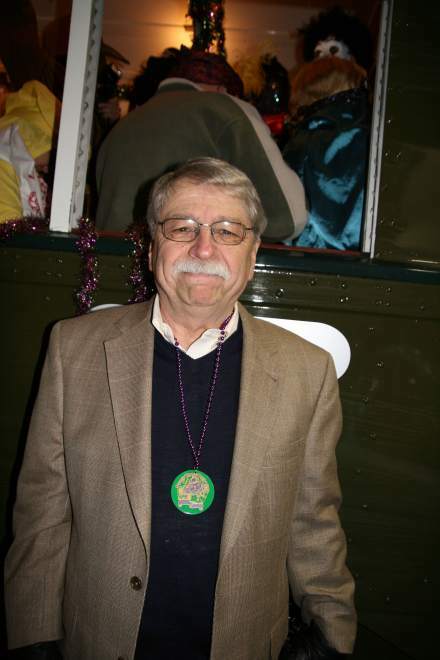 A rumor was started that the Krewe of Zeus had canceled their Metairie parade. WWL and WDSU TV both reported that Zeus canceled. Once an innuendo gets launched, it helps to have two major networks carry your fake story. This makes the false tale seem real, since your trusted newscaster told you. WDSU revised their story and stated that Hardy gave them this information. According to the Krewe of Zeus, they haven’t canceled, and plan to parade on Lundi Gras right after the brand new Hera, the newest parade, and one that is affiliated with Zeus. Next, Zeus’ logistics officer, Brian Landry, denied the cancellation reports and blamed Hardy on his Facebook page. Landry wrote, Latest reports name the unnamed source on the false reports as none other than…Arthur Hardy!! I knew there would be a backlash when we opted out of an ad in his magazine. Arthur Hardy-Good Guy or Bad Guy? Here’s where politics intrudes itself into the Jefferson Parish Carnival scene. Parish Council Chairman Chris Roberts blamed his own Carnival coordinator, Scott Burke, for the discredited report of the Zeus parade cancelling. In faulting Burke, Roberts refocused attention on the degrading relationship between council members and Parish President John Young’s administration. Roberts and Young don’t see eye to eye on this or many other issues. Hardy has responded, claiming he did not say Zeus was cancelling.